Creating a product and building a business is brutally tough. But it’s even tougher when things go wrong, and customers start to complain. Getting negative feedback on your company is never fun. But, more often than not, user feedback can be a good thing. It can improve your business and take it to new heights. Of course, the real trick lies in knowing how to use that feedback to make real changes. Many companies are actually rich in feedback data, yet most are unsure how to leverage that data for exponential growth. Thankfully, that problem is fixable. Here’s how you can turn user feedback into massive wins for your business today. You’re creating a product for a reason. Typically that reason is to solve a problem. If you know whether or not your product is solving said problem, you know that you’re on the right track. But how do you determine if the product is solving real problems? You ask the people using it. In terms of product development, promotion and sales, it’s pure gold. Customer satisfaction surveys are a form of active listening that allows you to address customer concerns, reduce churn and build better products. So why don’t more businesses use it? According to Sue Duris, Director of Marketing and CX, the issue is that most brands simply don’t have the mechanisms built into their business to sustain regular feedback. “The feedback isn’t making its way back into processes to be able to improve the customer experience or drive operational excellence,” she says. And unstructured data — the raw, unfiltered opinion of the customer — is where you’ll find the gold nuggets. Find ways to incorporate user feedback at every stage of the development process, from R&D all the way to the final “thank you” email. When online wedding registry company Zola started using NPS feedback to determine what soon-to-be-married couples wanted, they used feedback to figure out how to improve their process. Zola was able to use this data to add more brands and features that customers wanted, like their “call us anytime” facility. By the end, both their entire registration process and their brand page were significantly improved, and customers were much happier. If you want to get feedback like Zola, try using survey questions like these to receive specific feedback that will be easier to analyze. The last thing you want is generic feedback that doesn’t mean anything to you. You can’t pull many insights from user feedback that’s too general. If you know that customers “love” your product, but you don’t know what they love about it (is it the specific features? The UX? The colors?) it’s hard to know what to do. The same is true of negative feedback. Zola was able to use the negative feedback to their advantage because it was specific. 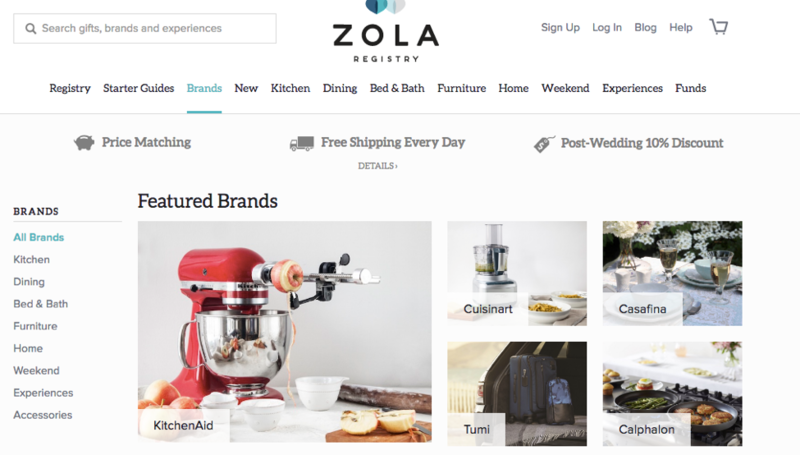 Customers said, “There aren’t enough brands we like!” and Zola knew exactly how to respond. That’s the level of specificity you need for your user feedback to work for you. To find those specifics, you need to segment your feedback data. Create a table using a tool like Excel or Google Sheets and input all of your feedback data. Your feedback will ideally come in both structured and unstructured forms. 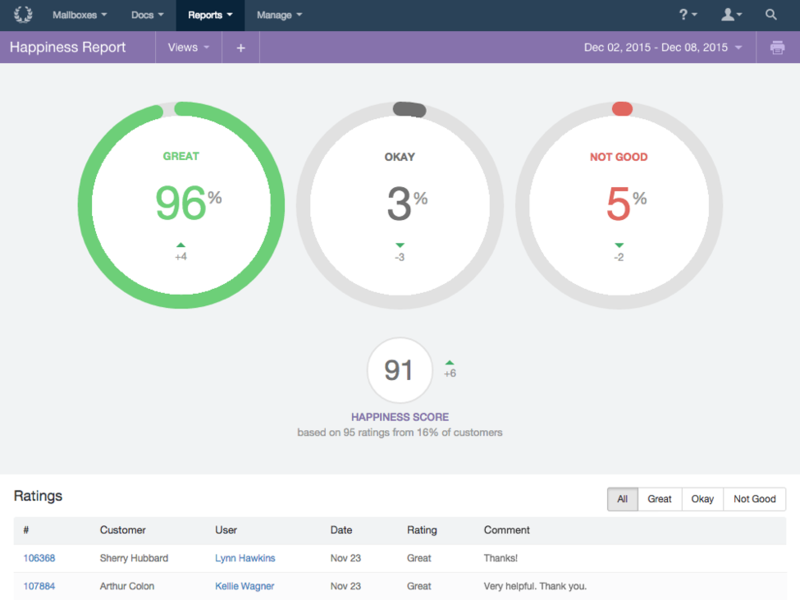 Structured feedback is often something like a ratings or rankings indicator. Something like “4/5 stars” will give you a general impression of the customer’s mindset, but not the full picture. The overall sentiment is that this product is better than average (4/5 stars), but not perfect. If you scroll down to the reviews, you can see that there are 5-star reviews along with 1-star reviews. But some reviews are more helpful than others. This review, on the other hand, gives us insight into what the customer was thinking. 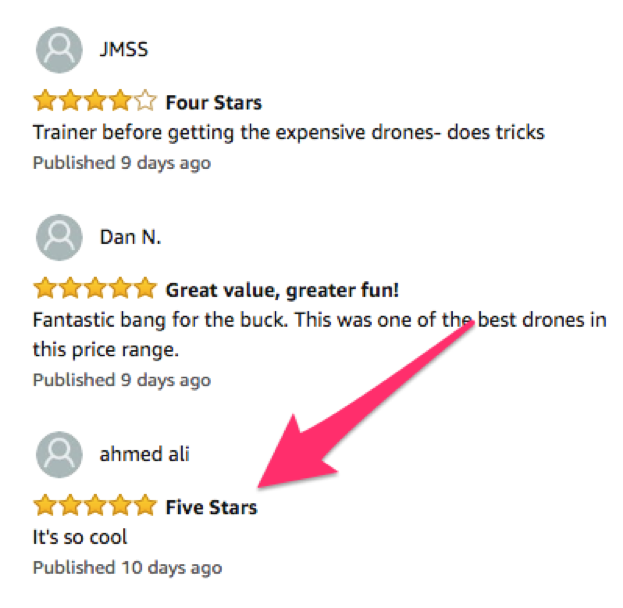 The unstructured feedback (the quote from the customer), while harder to read or process compared to a simple star rating, is significantly more helpful. This contains all the minute details that the customer wants to share. Was shipping fast enough? Did the product arrive damaged? Were they able to use it out of the box? The unfiltered, unstructured insight is what will help you build a better product. But other data, things like product purchase history and lifetime value matter too. Compare that to feedback from a first-time buyer who just indicates they’re “not happy,” and you’ll see that sometimes the source matters. When it comes to feedback, the more details you have, the more powerful your insights will be. Once you’ve segmented your data, you can start looking for common denominators. You’re primarily looking for correlating data and noticeable patterns. For instance, if you notice that certain words appear more frequently than others (“bad experience,” for example), that’s indicative of a widespread issue. You can do this with positive feedback as well (“easy to use”). It may help to color coordinate your spreadsheet so you can easily see where patterns emerge, or to run a sentiment analysis to see if there is an overarching theme (customers are mostly dissatisfied or neutral, etc.). You can also organize your spreadsheet by category so you can see all the “bug” or “feature” related issues in one place. Make a list of the most common complaints as well as the most common praises. Next, take a look at your lists and see if there is an opportunity for a big win. For instance, let’s say you notice that customers seem to be complaining about usability in your app. So, you review each complaint for more information and you notice that people have issues with the way a button is performing. It’s going to the wrong page, which confuses the users. You fix it. You test it. And then you update the app and request more feedback. A little while later, when more feedback comes in, you can assess the situation to see if anything’s changed. If nothing’s really better, then the issue might actually lie elsewhere, and the minor fix didn’t help. On the other hand, if the problem is resolved, voila. You’ve got a win. You can continue to analyze this data from your spreadsheet, fix specific issues or change elements of your product, and then repeat the feedback loop until everything is working as it should. Will this take some time? Yes. Absolutely. But this is where you will have to build the feedback loop into your daily operations. It’s not a one-and-done deal. Every time your app is updated, get new feedback. Analyze that feedback. Make changes. Get more feedback. Lather. Rinse. Repeat. The better you get at gathering and analyzing this data on a regular basis, the more effective the process will be. So what happens if you still get feedback on problems you thought you fixed? If you find that you’re continually getting the same user feedback despite the many changes you’ve made to your product, it might be time to kick things up a notch. Using trend analyzing software can help you find blind spots you might have missed. 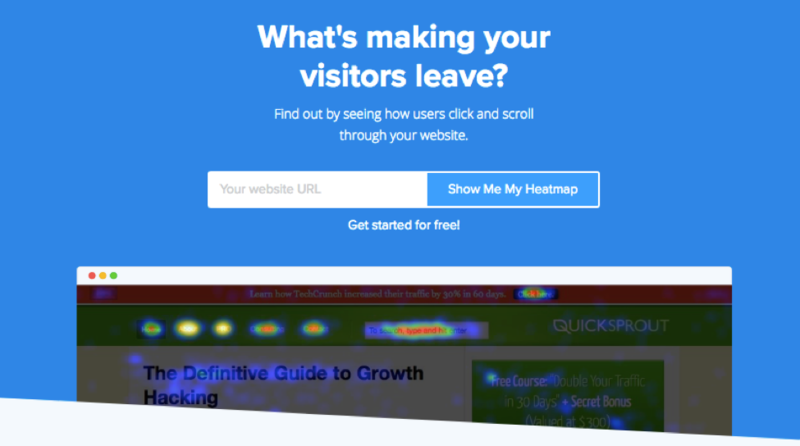 If you’re having a lot of trouble with your website, for example, you can use a tool like Crazy Egg to create heat maps of your website. This will give you more specific insight into what users are doing on your website and why they’re leaving without engaging. You can even get recordings of live users browsing your site so you can see exactly what they see and what they click in real time. But what if your feedback data is completely unclear about what’s wrong? Tools like Revuze can help you determine whether or not the issue is with your product and its attributes or with your brand. 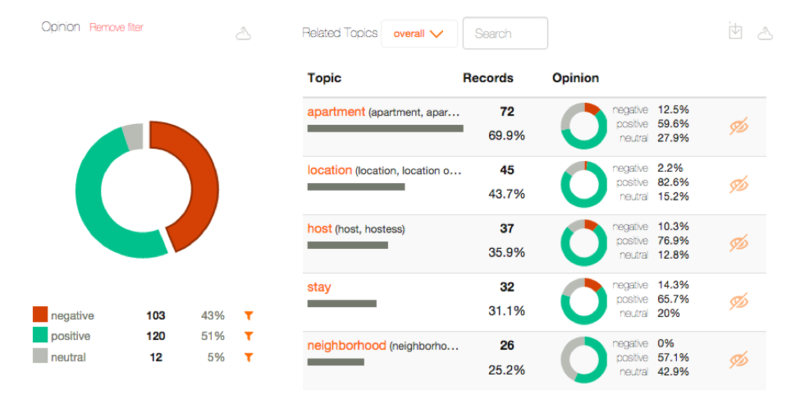 This tool uses AI to discover different talking points about a given subject and can identify sentiments in generic phrases, like “good,” “happy,” and “terrible,” to give you better insight. It’s not just for online reviews, of course. You can apply the software to your customer surveys, call center text, or even social media posts. 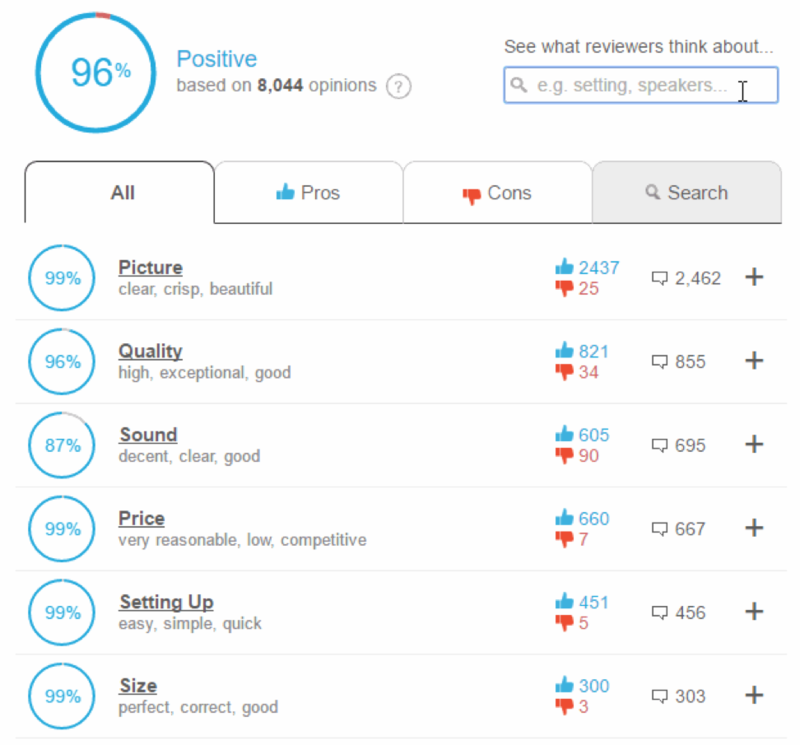 If your survey data is still lacking, you can use a tool like SentiGeek, a customer feedback and review sentiment company. This is another AI-powered piece of software that can really narrow down your data into something definable. 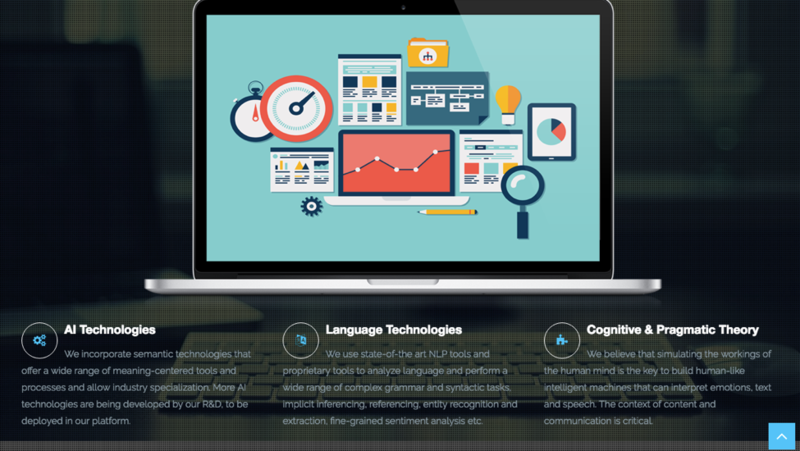 SentiGeek will look at your analytics and generate user profiles based on the feedback it sees. This can be helpful if you have anonymous user feedback or you simply want to gain better insights into the customers using your product. If push comes to shove, there’s always the standard A/B testing on your site, which you can do at any time. Some popular A/B testing tools include Crazy Egg (as mentioned), Optimizely, Unbounce, and Google Analytics. Remember that the feedback process will never really end. You will want to put a plan in place to continue any feedback loops you have in place, as well as create new ones as you launch new products or run into new issues. It’s essential to continually expand your feedback collecting as you grow. Some other tools for doing this include things like live chat services, which can catch problems in the heat of the moment and add to your data in real time. LiveChat is a great tool for adding simple pop-up chats to your website for customers to use. If a live chat feature doesn’t work for you, or you’re not sure it’s providing enough feedback, consider reaching out to customers directly. 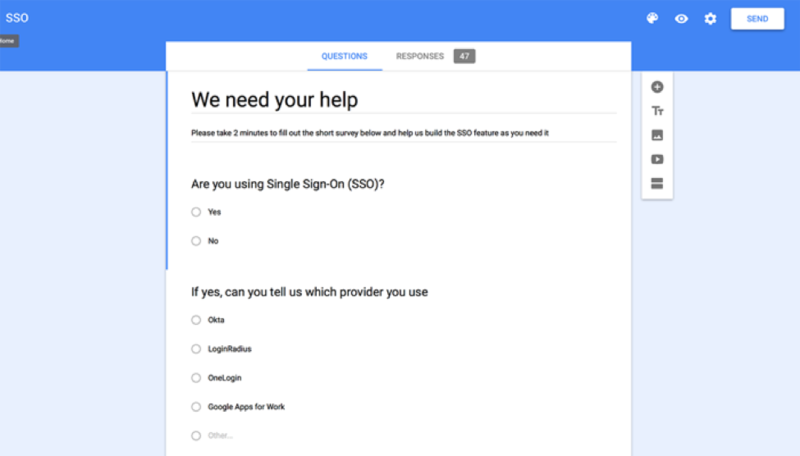 In one case study from LiveChat, they created a simple Google Forms survey to gain more insight into how they could improve their Enterprise plan features, the SSO (Single Sign-On) login. While they favored a specific SSO provider to power their customer logins, they found that customers were dissatisfied with that provider, and thus never used them. It showed them that their top pick for security wasn’t actually a hit with their customers. In the end, LiveChat decided to go with the provider that their customers wanted, and began building new integrations to get the same level of security that they had before. All of which resulted in a win for them and their customers. But this never would have happened if LiveChat didn’t follow through on their own feedback loops and regularly collect that data. 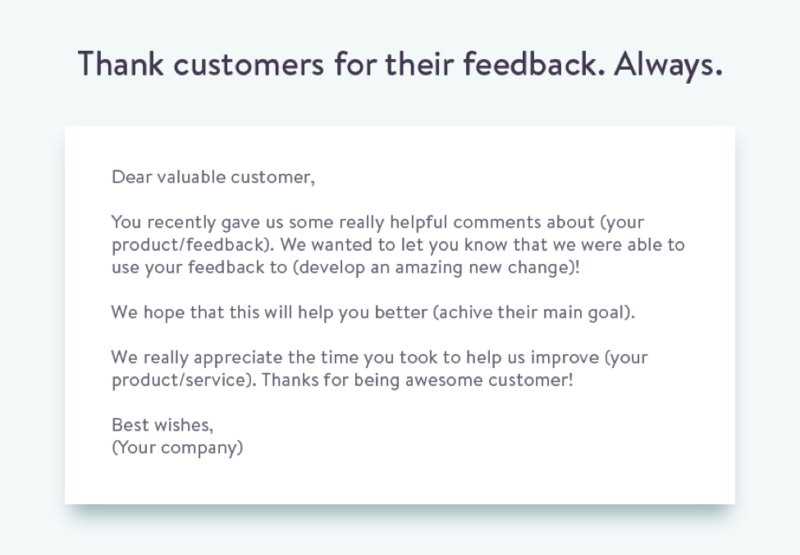 Healthy companies know how to analyze their user feedback. Without having feedback processes in place that can regularly capture data, it can be easy to assume you’re doing well, even if you’re not. You can miss small or even glaringly obvious mistakes that prevent you from seeing the sales you want. 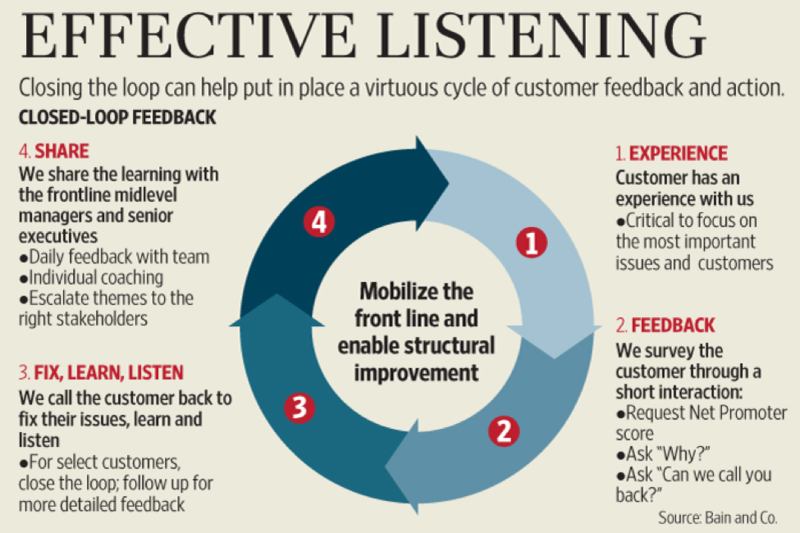 The solution is simply to start building these feedback loops into your business. Start by consolidating the current data you have into a spreadsheet so you can do a preliminary analysis. Look for patterns and correlations that might point you toward a big issue. Then tackle that issue for a big win. Test and retest the issue until you notice your feedback changing. If you get stuck, there are plenty of tools out there that can give you further insight. Look at some the big AI tools if you really want to dive in. Otherwise, a simple heat map from Crazy Egg might be enough. Finally, make sure that your feedback process is a loop. Make sure you’re listening to customers, making changes, and continuing to gather feedback.